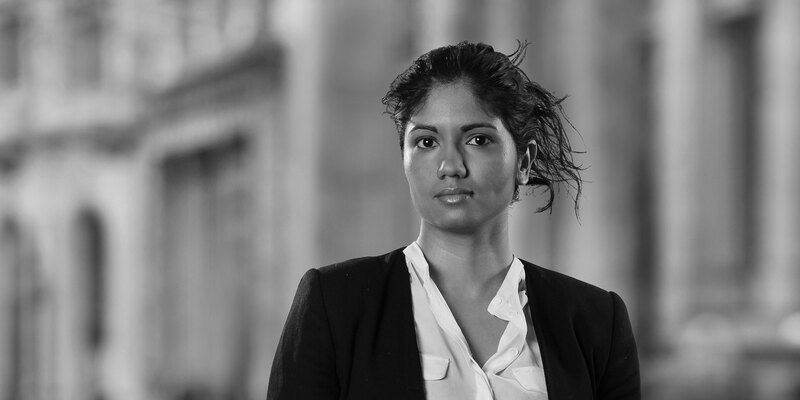 Sindhura is an associate in the Energy, Infrastructure, Project and Asset Finance group of the Paris office since August 2011, specialising in project and asset finance. 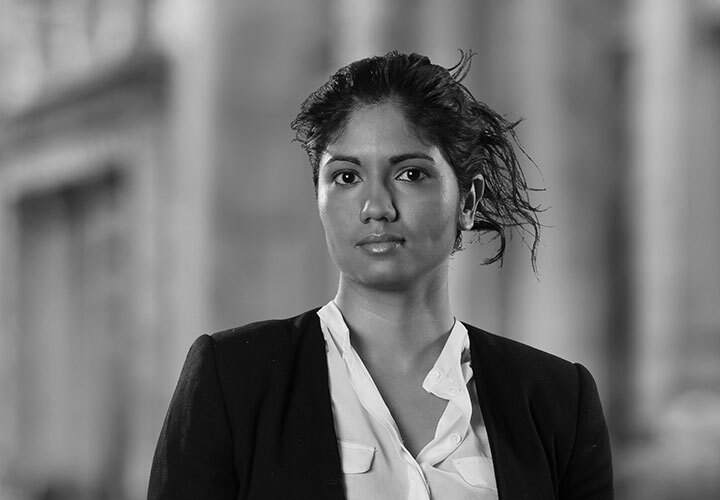 Sindhura joined the Firm in February 2008 and qualified as an Associate in March 2010 in the London office. In 2009–2010, she spent six months on secondment in the Firm's New York office, in the bank finance, restructuring and insolvency practice. In the White & Case group's asset finance practice, Sindhura acts for commercial banks and equity participants regarding financings involving aircraft, railway, shipping and other mobile assets. These financings are typically tax-enhanced structures and include European export credit agency support. Sindhura also has extensive asset leasing experience in which she has assisted in acquisitions and sale/leasebacks on behalf of owners and lessors. Sindhura also has a wide range of experience in project finance in particular energy and infrastructure financings in which she acts on behalf of the borrowers, sponsors, lead arrangers, investors, export credit agencies, DFIs and commercial lenders. Almost all of the transactions on which Sindhura has worked have been of a cross-border nature in jurisdictions throughout Europe, the Middle East, Africa, Asia and the Americas. Sindhura also spent a year on secondment at IFC in Johannesburg where she notably worked on major financing transactions and investments across Sub-Saharan Africa and Francophone Africa that involved the implication of multiple jurisdictions including advising on matters of English law, French law and OHADA law. She is now extremely familiar with transactions involving DFIs, the documentation and requirements of such institutions. Representation of Orabank as lender in connection with a revolving credit facility for an oil & gas company in South East Niger. Representation of DFIs and commercial banks in connection with the financing of a PV power plant project in Senegal. Representation of Eranove as the operator in connection with a 1134 mw gas to power project in Ghana. Representation of the lenders, including SMBC, BTMU and Siemens Bank, on the €150 million financing construction and operation of the Yozgat 475 bed Education and Research Hospital in the city of Yozgat in Turkey, public private partnership (PPP) project. Representation of a French sponsor in connection with project financing of the construction of a new oil and gas platform to expand its existing operations in Cote d'Ivoire, including the implementation of MIGA coverage and a Partial Risk Guarantee from the World Bank and further advising the same sponsor in the acquisition and financing of its joint venture partner's interest in the project. Representation of Société Générale in the US$14 billion business combination between United Arab Shipping Company Limited (previously called United Arab Shipping Company (S.A.G.)) and Hapag-Lloyd Aktiengesellschaft, a German, publicly-listed container shipping company, including in respect of the re-domiciliation of UASC to Dubai International Finance Centre and of the sub-leasing of two ships by United Arab Shipping Company to China Shipping Container Lines (now known as Cosco Shipping Development) and the related risks to the existing French tax lease structures concerning these two ships. Representation of BTMU, Santander and KfW in the Coface-supported USD financing of Royal Caribbean's purchase of the world's biggest-ever luxury cruise ship called "Harmony of the Seas" with a capacity of 8,500 passengers and crew manufactured by STX France which was successfully delivered in 2016 with our assistance; the USD financing takes the place of the cancelled portion of the EUR facility that we closed in July 2013 on behalf of Société Générale, HSBC France, BNP Paribas and Natixis, which has been amended to accommodate the new USD facility. Further, representation of BTMU for the delivery of the EUR and USD ECA backed-financing of the "Harmony of the Seas". Representation of an Indian conglomerate in respect of the six (6) month charter of a business jet aircraft from Air Charter Service FZO. Representation of HSBC in the Coface-supported buyer credit financing of 295 locomotives to be manufactured by Alstom for export to Kazakhstan for the Kazakh national railway (transaction named 2012 Deal of the Year by Global Trade Review). Representation of COFACE, ECGD, Euler-Hermes and The Bank of Tokyo-Mitsubishi UFJ, Ltd. on the ECA-supported financing of four Airbus aircraft for Shenzhen Airlines Co., Ltd. in the People's Republic of China.